Providing free, fun & structured football sessions to young people in a safe, friendly environment. To provide a safe and encouraging environment where young people can come together and enjoy structured sports and learning opportunities. To help the young people of Lambeth fulfil their potential and improve their well-being both physically and emotionally through targeted support to children and families. The St. Matthew's Project exists to provide a safe and encouraging environment where young people can come together and enjoy structured football sessions and other activities, including trips, volunteering, training and education opportunities, healthy lifestyle workshops and one-to-one support. We aim to help the children and young people of Tulse Hill and Brixton fulfil their potential and have a real impact on their community through the provision of positive, credible activities. 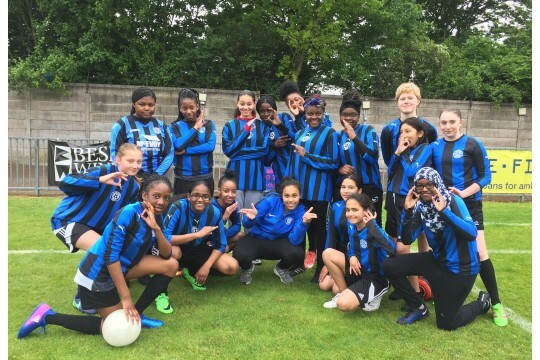 The St. Matthew's Project provides over 1,000 hours of free, fun football activities per year to young people from disadvantaged backgrounds, runs numerous league teams, a girls-only group and engages regularly with over 200 young people every week. In addition to football specific activities we arrange trips, encourage youth volunteering, deliver healthy lifestyle workshops, an education & traininng programme for 16+ members and provide one-to-one support to our young people wherever necessary. The St. Matthew's Project has a clear focus on recruiting new young people into its activities from the local community. Volunteers are offered a range of responsibilities, including team assistant roles, coaching groups from mixed ability to advanced and working with our girls-only group. Potential volunteers will be invited in for taster sessions, where they will assist one of our coaches and get a feel for what we do and find out how best their potential might be realised with the project.